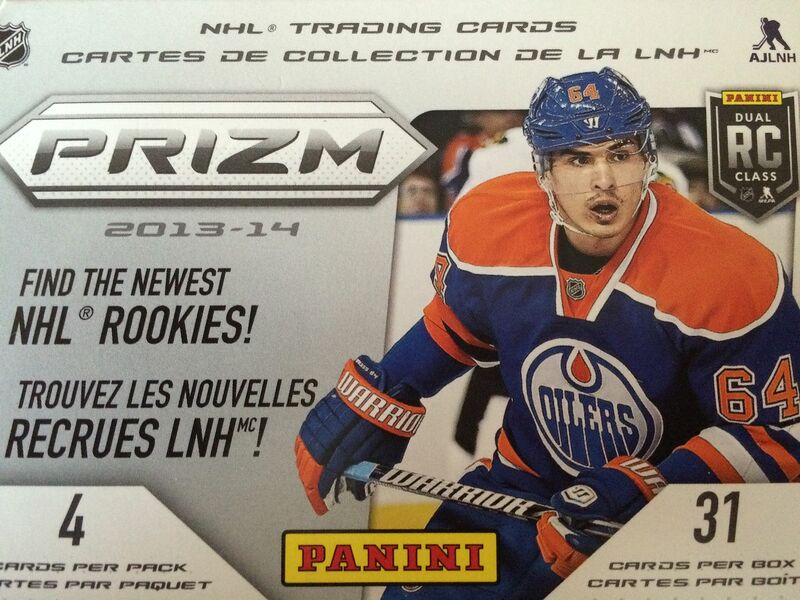 Prizm is a product that I haven't opened much of at all. In fact, it's a product that I really don't see at my local retail stores. I would consider Prizm to be one of the 'higher-end' brands when it comes to retail. The cards are of premium quality with not that many coming per box. I'm always excited to open blasters that I usually don't have access to. Prizm was a brand known mostly for its parallel card potential in the hobby, so hopefully that translates well to retail. Hobby boxes usually came with a couple autographs, but they usually weren't too spectacular - especially in terms of design. The autographed cards looked just like base cards with an area for an autograph to be placed. The parallel cards, however, looked amazing. The chrome look of the cards would really sizzle with the different colors. Some of the colors, like gold, were numbered very low and were collector favorites. This box was a bit underwhelming to me. I did get some red parallels, but most of them came in the little bonus cellophane pack rather than from the packs in the box. I'm glad that the blaster had the bonus cards though... otherwise the break would have been even more mundane. The Prizm cards are impressively done and have a very thick stock to them. Anyone buying Prizm at retail should appreciate the quality of these cards. I only was able to pull one insert and a few parallels from this box. Of course, there were rookie cards too, but none of them were of any note. You know I'm reaching when a simple base card makes the top three! 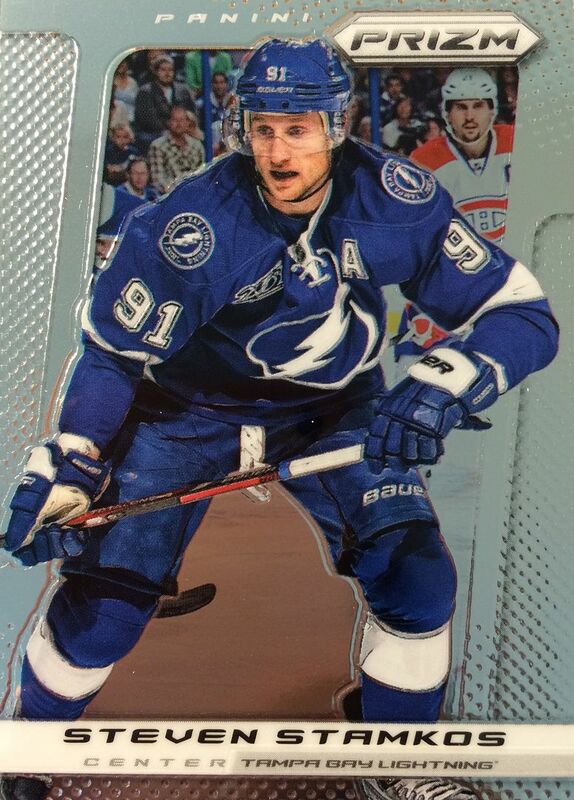 Even with that, it's always nice to get Stamkos base cards. He's one of the great players that seem to elude me in packs. 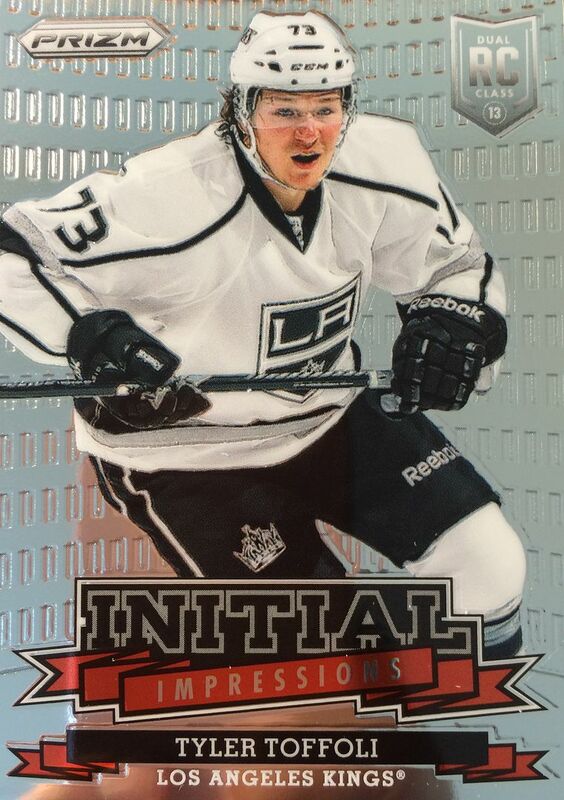 This insert card of rookie Tyler Toffoli has some nice textural design elements that make it stand out from the rest. It was my only insert card in the entire blaster. Now this is a card I do like! 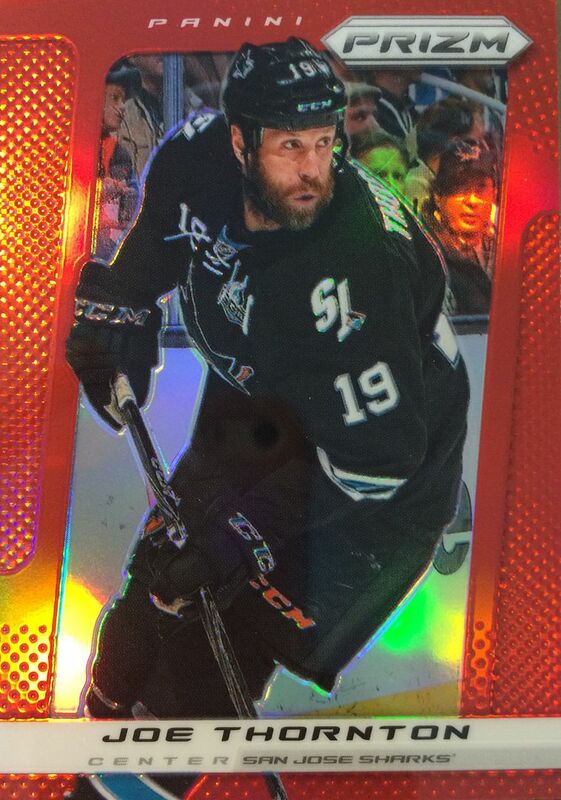 The red parallel color and the rainbow shimmer on this card makes it look really stunning. It's a great looking card of a star player on my favorite team. This particular box wasn't a great value to me, but it wouldn't stop me from wanting to purchase more Prizm blasters in the future. The quality of these cards are nice, and it's fun trying to find parallel cards of the best players in these packages. Prizm has definitely come down in price at the hobby level... it might be a good choice to find those boxes if you're really into the set.